After the victory in Rome against Lazio (0-1 by a penalty of Perotti) the gialloblu of Hellas Verona came to Marassi. Especially because of the many extreme-right fans of Hellas it was very nice that this was the match of our coloured player M’Baye Niang who scored 2 of our goals in the 5-2 victory. 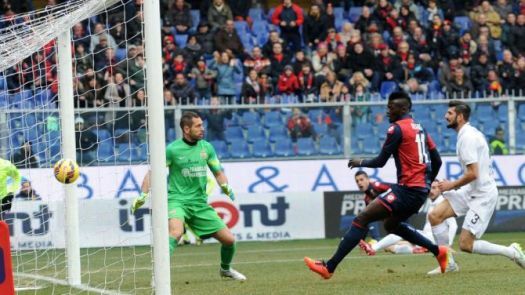 The other 3 goals were scored by Bertolacci, Perotti and an own goal of defender Agostini of Verona. 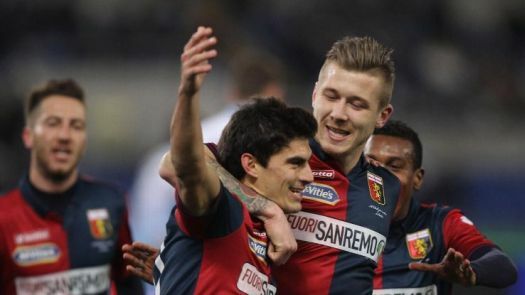 With this victory we have just like Sampdoria 35 points and we raise to the 6th position in the standings. 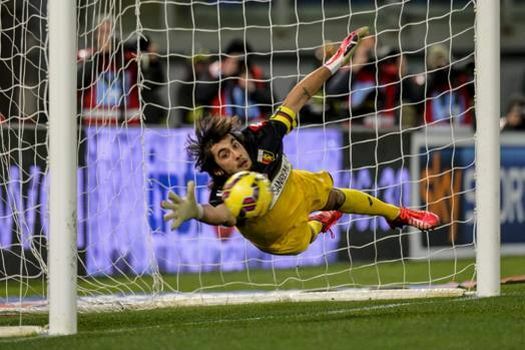 On Saturday 21st February the derby was postponed because of the heavy rainfall the last 3 hours before the match. After hours of discussion about the new day the match again took place on Tuesday 24th February at 18.30 hours. 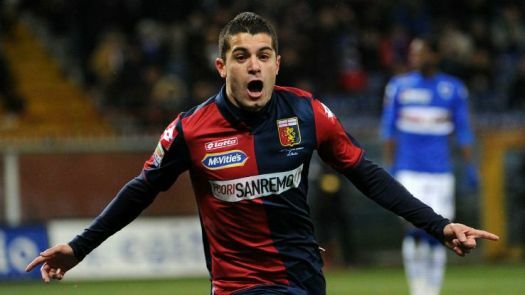 In the 17th minute Iago Falque opened the score after a perfect cross of M’Baye Niang. The happiness lasted only 2 minutes when Roncaglia lost the ball just outside the penaltyarea and Eder scored the equalizer. 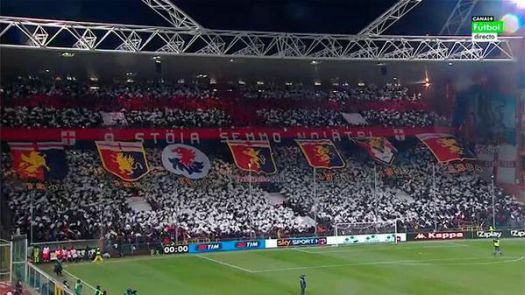 In the 94th and last minute Genoa was very close to score the deserved winning goal, but Kucka headed the ball on the crossbar and the rebound of Bertolacci was saved by goalkeeper Viviano. Genoa stays 6th in the standings with 36 points. Welcome back Marco Borriello; thanks Luca !! Of course it is a pity that our captain Luca Antonelli leaves our club after 5 years to the team of his youth: A.C. Milan and it would be better if Alessandro Matri and Stefano Sturaro stayed with us till the end of the season. On the other hand we have fantastic new players like Marco Borriello, M’baye Niang and “Tino” Costa. Only the results in the field can tell us if we are improved or not this tranferperiod.